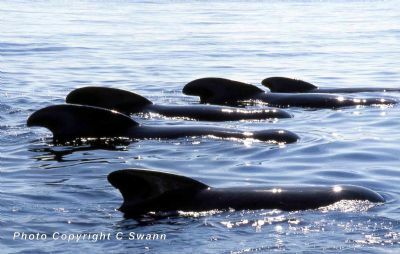 Further information about Sea Mammals around the shores of Fair Isle can be found in FIMETI's annual Newsletters 'Making Waves' and by visiting the Fair Isle Bird Observatory website. 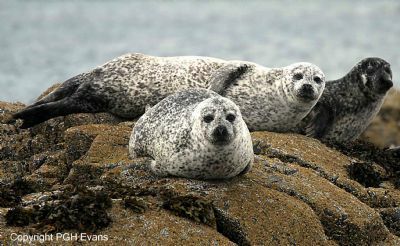 Both Atlantic grey seals (Halichoerus grypus) and common seals (Phoca vitulina) are abundant around the coasts and shores of Fair Isle, and to the delight of visitors, are easy to observe and photograph. 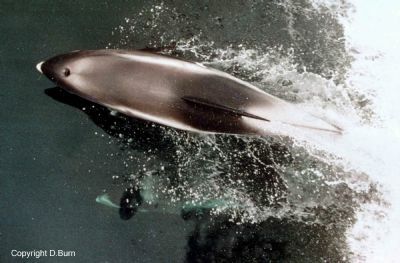 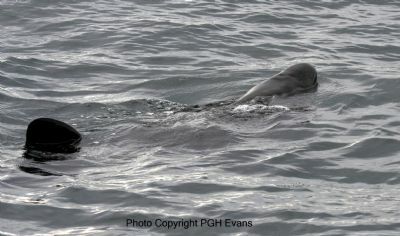 A number of cetacean species are observed regularly offshore during the summer months and also from the 'Good Shepherd', Fair Isle's mail-boat, on its weekly crossing to Shetland. 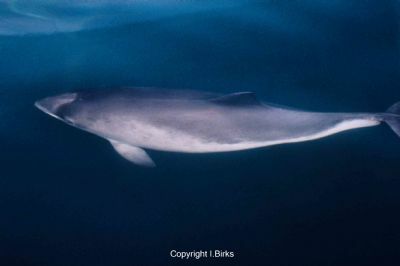 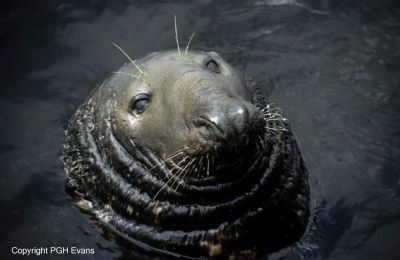 This species is making a comeback into Shetland waters. 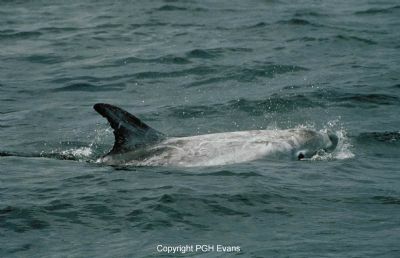 Following the first sighting since the 1970's, off Buness in October 2004, another was seen in July 2005 and the recovery continued into 2006 with no less than four sightings - two together off the north end of Buness on 21st July followed by singles on 16th, 25th & 30th August. 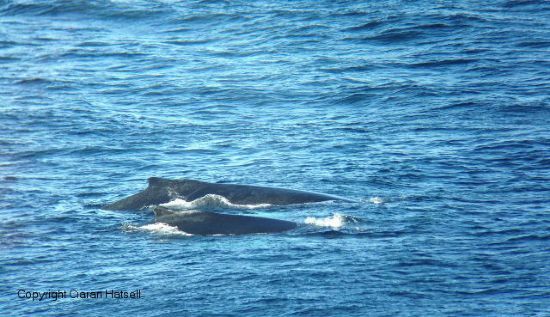 Visitors in October 2014 had the added bonus of two humpback whales Megaptera novaeangliae close inshore off the south of the Isle. 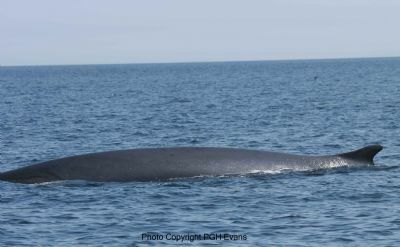 In recent years a humpback recovery has led to regular records in Shetland and the species has now found Fair Isle. 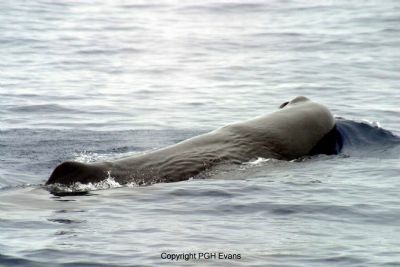 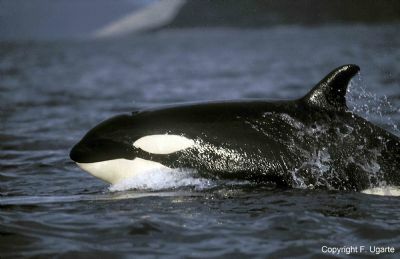 The only previous recent record was of one breaching 25 km south-east of Fair Isle in 1994. 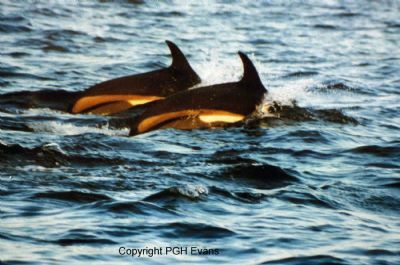 Up to the early 20th century large whales were seen regularly passing the isle, including humpbacks.